Introducing the NEXT ONE. 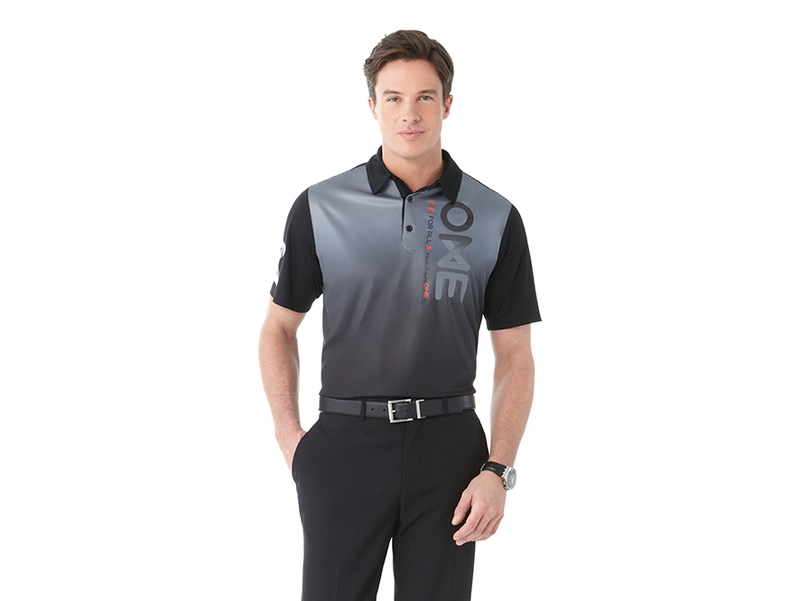 Designed to be decorated for your brand, this polo is constructed of 100% Micro polyester interlock knit with a wicking finish. The NEXT ONE is trendy with its gradient and sleek colour blocking. It features a CF two-button placket, dyed-to-match buttons and a two-piece self-fabric collar. The NEXT Short Sleeve Polo is breathable, comfortable and versatile, with snag resistant and UV protection fabric technology. Available in Black, Metro Blue, Olympic Blue, Green Tea and Dark Plum. FABRIC: 100% Micro polyester interlock knit with wicking finish, 155 g/m² (4.6 oz/yd²). 100% Micro polyester graphic gradient interlock knit with wicking finish.